Since the 1940s, the responsibility for managing California farmers' use of agricultural pesticides, and the substantial health risks they pose, has been shared by state and county regulators. The state's Department of Pesticide Regulation registers pesticide products; county-level agricultural commissioners issue permits for the use of "restricted" pesticides—those that present significant human health or environmental concerns. State law requires that when farmers apply for pesticide use permits, county agricultural commissioners must deny the use of a restricted pesticide when feasible safer alternative pesticides—as well as measures like using tarps or creating pesticide "buffer zones" that could mitigate the chemicals' impact—are available. But a new study by UCLA and University of Southern California researchers concludes that commissioners are issuing permits for pesticide use without considering safer alternatives, and without evaluating the health implications of "cumulative exposure," which occurs when growers apply two or more pesticides to the same or adjacent fields. The report is the third in a series that reviews California pesticide regulation; the studies are conducted by researchers at the UCLA Fielding School of Public Health, UCLA School of Law, UCLA Institute of the Environment and Sustainability, and USC's Keck School of Medicine. The prior reports documented similar flaws in how the Department of Pesticide Regulation registers pesticides for use on California farms. "The law here is very clear," said Timothy Malloy, the report's lead author and a UCLA professor of law and of environmental health sciences. "Before issuing these permits, the county agricultural commissioners must evaluate potential cumulative exposures and must consider safer alternatives to the proposed pesticide use. That isn't happening." "The scientific research shows that cumulative exposure to different pesticides and mixtures such as the ones we looked at in this study can lead to negative impacts on public health," said John Froines, a UCLA professor emeritus of public health and another of the report's authors. 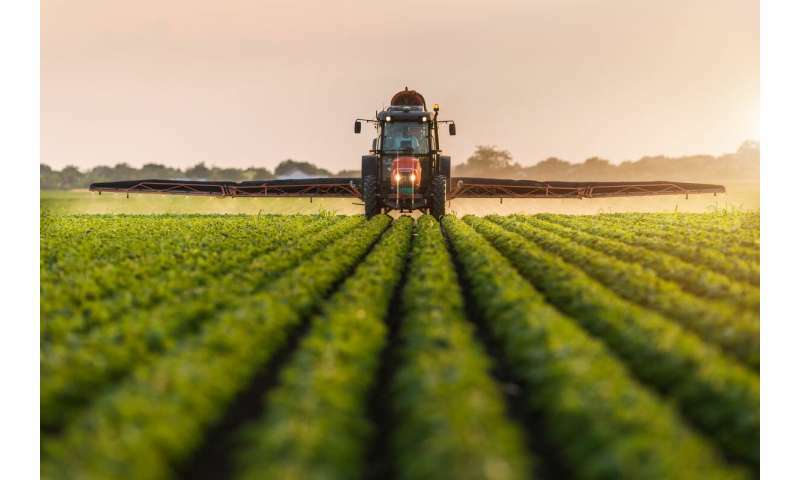 "Our study finds that California's agricultural commissioners are failing to deny permits for pesticide use in cases where cumulative exposure could create a toxic scenario, putting farm workers and local residents at risk of poisoning and chronic health conditions." The researchers reviewed relevant policies that were available online for each of the county commissioners, as well as more extensive documents they obtained through records requests from 24 commissioners' offices. They found that although 60 percent of commissioners expressed their commitments to evaluating safer alternatives in various policies and written submissions to the state, none had written, office-specific guidance for evaluating alternatives. The researchers also wrote a case study on permitting practices for chlorpyrifos, a pesticide with demonstrated health risks for which some alternatives are available. They discovered that, in practice, the commissioners' offices did not consider the availability of alternatives, and instead typically delegate the responsibility for assessing safer alternatives to farmers and their pest control advisors.